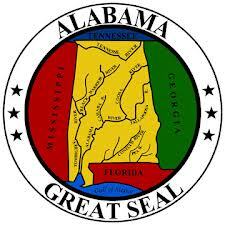 Search the top Alabama RN to BSN Programs. Our comprehensive guide includes detailed information on becoming a Registered Nurse and degree requirements and details on Alabama RN to BSN Programs. Healthcare, more specifically nursing, is a focal point in Alabama with many people looking at RN to BSN programs as a way to get into that healthcare field. Alabama is a place where families can settle down and grow with pride. Since the interests of the residents of Alabama are centered around job stability and family care, the field of nursing is a popular path within the state. The interest in nursing is something that has grown at the same rate of the population, since healthcare is a field that provides employment opportunities at a competitive and extensive rate. Over the years, the requirements for professional nursing have changed ranging from the educational requirements, technology associated with the profession and even the approach to bedside manners. Those wanting to pursue a career in nursing are now required to be at the bachelor’s level in nursing before being considered for most open positions. With this in mind, Alabama has 7 RN to BSN programs available for those wishing to transition to a higher degree program. These programs are designed to suit those that already have an Associate’s degree in Nursing or an equivalent certificate in nursing. From the University of North Alabama to The University of Alabama – Birmingham, future bachelor’s level students will be pleased to find a program that will provide the level of education needed to provide for a more in depth look into the field of nursing, which will provide numerous career opportunities in the future. Alabama can also see specific requirements involved with their various nursing degrees so make sure you understand those as you move forward with your educational goals. Educationally, students are trained the basics of nursing care within the first two years of their respective programs. As a bachelor level student, individuals will learn additional social concepts as well as business aspects of nursing that will assist them throughout their career. As nurses will be very involved with patients and their families, daily communication and interaction is also an important skill to have. Bachelor’s degree programs contribute an extensive amount of additional information to learners that will set them apart from those with lower degrees. With a population of 4.8 million, Alabama is in need of bachelor’s level nurses. Employers are looking for nurses with the highest education to fill their open positions. As a career that has provided employment for many Americans each year, nursing is a field that has surpassed its original expectations. Nurses provide care to individuals suffering for illness or ailments, being a support system for families and patients alike. Nurses can also expect to see various administrative tasks relating to scheduling, patient record keeping, etc. Transitioning from an RN to a BSN will not only provide access to more employment opportunities, but will also provide a significant increase in salary. On average, those having a Bachelor of Science in Nursing earn $56,470 per year while working in the state of Alabama (source). When trying to understand what that salary can mean for you, it is important to take into account the cost of living in Alabama as well as your variable expenses. Did we miss your school? Send us an email or Twitter and we’ll add it to our list!